"I shall bless you with a special gift by which you will be able to recognize sinners, for whom you will bear the sufferings I will send upon you. You will experience much of the affliction, misery and pain that I did during My agony on the Cross. Due to your great love for Me, you will offer all your torments for sinners whom I Myself will point out to you." -Part of a vision of Jesus on February 19, 1918. 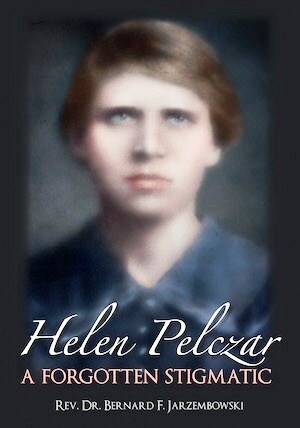 Primary source for this article is the book "Helen Pelczar- A Forgotten Stigmatic" by Reverend Fr. 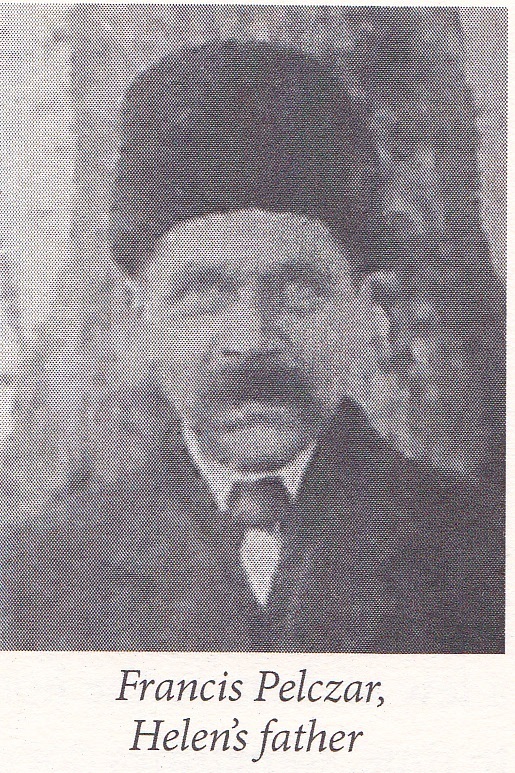 Bernard Jarzembowski, Cleveland, 1936 (Polish), republished in English in 2014 by the Rosemarie Publishing House. 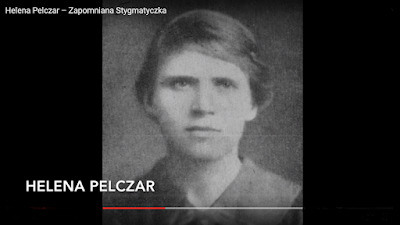 Helena Pelczar (or "Helen" in English) was born on the Feast of Christ­mas 1888 in the small town of Korczyna in south­western Poland. Her parents, Salomea (nee Wier­nasz) and Franciszek Pelczar, were but poor peasants, who in spite of their hard work and drudgery could hardly manage to feed their eight children, of which Helen was the second oldest. Helen started going to school at the age of seven. Cold, fierce winters soon proved the most difficult, for her parents couldn't afford buying her shoes. But little Helen never seemed to complain, even when her legs were so badly injured by frostbite that festering, stinking wounds appeared on them, and she had to spend the rest of the winter at home to recuperate. On one occasion, Helen hadn't eaten for two days and she fainted in the middle of a class because of malnutri­tion . Sometimes one of the teachers gave their own meal to this miserable child out of pity. Learning in such conditions was very hard for Helen. She especially had problems with reading, for her only primer for literacy was a prayer book. On another occasion, she developed a large sore-ulcer on her stom­ach. Her family had a special love for the famous Madonna of Stara Wies, so one day they went on a pilgrimage to St. Mary of the Assumption's Sanc­tuary in Stara Wies in order to ask the Virgin Mary for heal­ing. Her father touched the miraculous painting of Mary in Stara Wies with a piece of linen while praying before it. Afterwards, little Helen touched that "relic" linen upon her ulcer, and it soon disappeared completely..
girl was waiting for this day with great anticipation to welcome Jesus into her little heart. However, it was feared that she would not be admitted to the ceremony, since because of her families poverty she had no white robe, a required attire for the first communicant. This situation was obviously very troubling for her. In spite of this uncertainty, she continued learning the Catechism with the greatest industriousness. When the day of the First Communion came, the school principal, Mrs. Udwinska, lent her a white dress, and thus Helen's fervent desire to receive Jesus in Holy Communion came true. However her happiness didn't last very long, because soon afterwards her young mother passed from this life, leaving Helen and her family heartbroken. 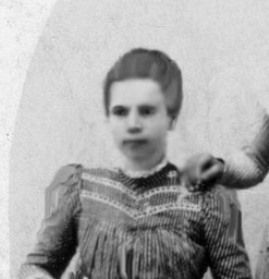 With no other options, given that Helen was the 2nd oldest child, the heartbroken father asked the nine-year­ old Helen to go into service for the rest of the family, and she did her best each day even though she was a malnourished little girl. Helen grazed cattle on the fields and helped with farm work, both indoors and out. In subsequent years, she was hired as a domestic servant and a shepherdess by nearby neighbors, which brought much needed money to her family. Those who knew Helen during these years stated that she was silent and calm, and her sorrow added particular dignity to her appearance. As the years passed, better times fi­nally dawned for her and her family and little He­len wasn't starving anymore. However, one thing about Helen did not change - she found her greatest of joy in prayer and her love and devotion to Jesus and Mary. Those who knew her during this time all pointed out that her devotion was very striking and edifying, and that she spoke rarely. 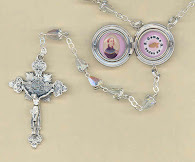 Her favorite prayers were the Rosary and the Way of the Cross. 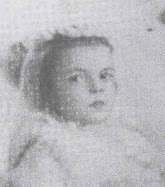 Two of her neighbor-employers, Mrs. Ras and Mr. and Mrs. Jurasz testified that "She was a very honest girl and boys did not seem to hold much appeal for her, although there were quite a few of them around. She fasted from time to time, sometimes not eating for whole two days", and also adding that "Helen was very obedient and there was never any need to coerce her into fulfilling her responsibilities." Jesus answered Helen's love and devotion in special ways. 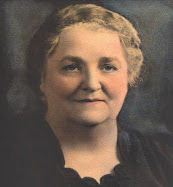 Once, as she was in the church on Good Friday 1909 or 1910, she sank so deep in prayer and meditation about our Savior's Passion, that she didn't notice the passage of time and when she finally decided to leave it was well after dark--in fact, it was so dark that particular night that Helen could hardly see anything. She said a prayer and set off for home when suddenly a strange, miraculous light appeared in front of her. It looked just like a tiny sun and was almost so close to her, that she could touch it with her hand. The light accompanied her until she got home. It lighted her way and disappeared all of a sudden the moment she walked into her house. 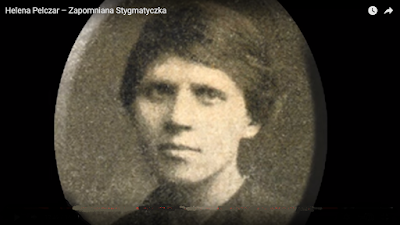 As Helen confided to her aunt, Julie Wiernasz, and to her cousin Francis, she first came down with a "strange sickness" in Poland on Easter Sunday 1910 during her service for the Jurasz family. The ecstasy she felt back then lasted for three days and three nights. She was unconscious, with her eyes wide open and insensible to light. She didn't hear a thing, and her body could relate to no ex­ternal stimuli. As she stated later, in her holy state she could at times see the Lord himself, or the Virgin Mary, and also at times certain an­gels or saints. 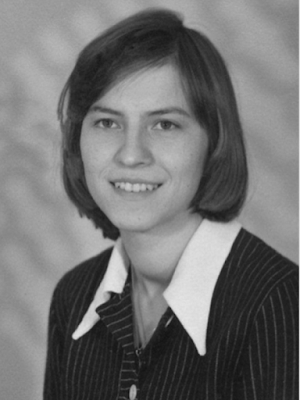 Within the first few weeks after arriving in Ohio, USA, Helen began suf­fering, as usual, from her “strange sickness”. When she got “sick”, she would lose consciousness; she couldn't move, and she ate and drank nothing. She often experienced intense pain throughout her body during these periods. Once her "sickness" lasted for more than ten days. When she finally recovered consciousness, she was exhausted and felt pain all over her body. She especially felt immense pain in her right side which was all bruised I appearance. She often remained in this state from three to five days. Sometimes after coming out of these prolonged ecstasies He­len would be overcome with exhaustion, and would fall asleep for a few hours. Afterwards, she would feel quite well and would immediately get back to her work. 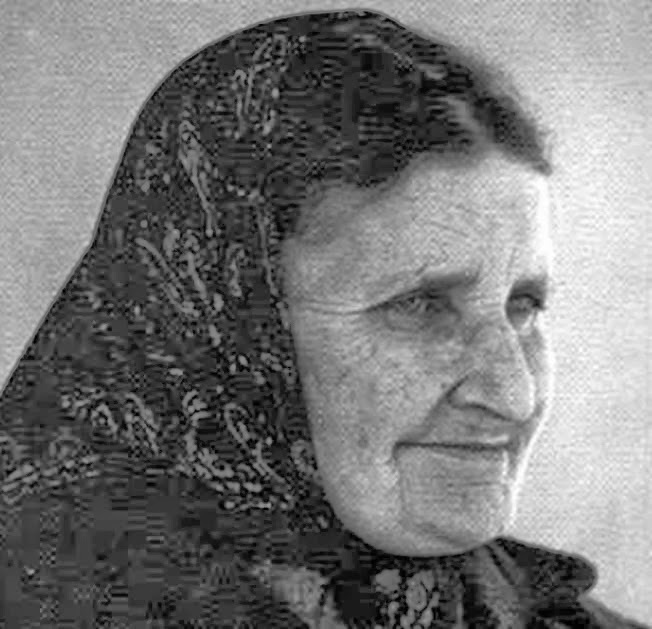 Upon arriving home after Vespers on Christmas Eve, Dec 24, 1917, Helen began suf­fering very strong pains in her hands and feet. On Fri­day December 28, painful dark round stigmas appeared on both her hands and feet. She also felt pain in her right side, all the way through to her back, which like her hands and feet also turned deep blue. Alarmed by these events, her Aunt asked Doctor Smigiel to come as soon as possible. After careful examination of the wounds, Dr. Smigiel wrote an official opinion in which he claimed that her sickness could not be explained from a medical point of view. These initial stigmata’s lasted for 3 days. On February 10, 1918 Helen began to suffer pains once again in her hands, feet and side, with each passing day the pain seemingly became even stronger. 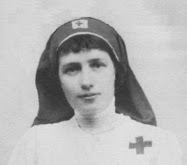 On Ash Wednesday, 13th February 1918, she was almost bent in agony due to an intense pain in her side. On Thursday evening, Helen became unconscious up until midnight. During this time she had an incredible vision of which she later told her family about. After these words Jesus gave Helen His blessing and then disappeared. The next day was February 15th, the first Friday of the Lent, 1918. 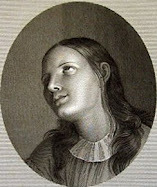 Helen suffered great pain in her body and stayed in her bed. Around 12 noon, purple and red marks started appearing on her hands, feet and right side, with the wounds opening gradually, beginning firstly upon her right hand and foot, then on her left hand and foot. It is worth adding, that before her wounds started bleeding, an unknown, unseen force had placed her right foot and left one so that the wounds of both feet “lined up”, as if nailed together. Her family tried to split Helen's feet, but it brought her even more pain. About three in the afternoon the wound in her right side started to bleed as well. According to the physicians report, the wounds on her hands and feet were about one inch long. They were located on the upper part of her palms at her hands, and in the case of her feet, on the upper part of her feet, closer to the ankles. On this second occasion, they kept bleeding without letup until five in the afternoon , and then stopped. The blood created a dark red crust around the injuries. Seeing them, one would get a very good picture of the nail wounds that Jesus Himself sustained. While the wounds were bleeding, Helen remained unconscious, in a prolonged ecstasy. Her hands and legs were stiff and cold, and the skin on her palms, feet and right side was blue. Her fingers were bended in pain, and her face especially indicated that she was suffering the greatest of agony. From that day on Helen's stigmata opened and bled on every Friday morning, always around the same time. The Savior wanted the pious girl to suffer as He did, for she was chosen to be His intercessor and as such she was called to suffer in union with Him to convert sinners, participating in a special way in the work of Salvation. Father Francis Duda was at that time a curate of St. John Cantius in Cleveland, Helen's parish Church. 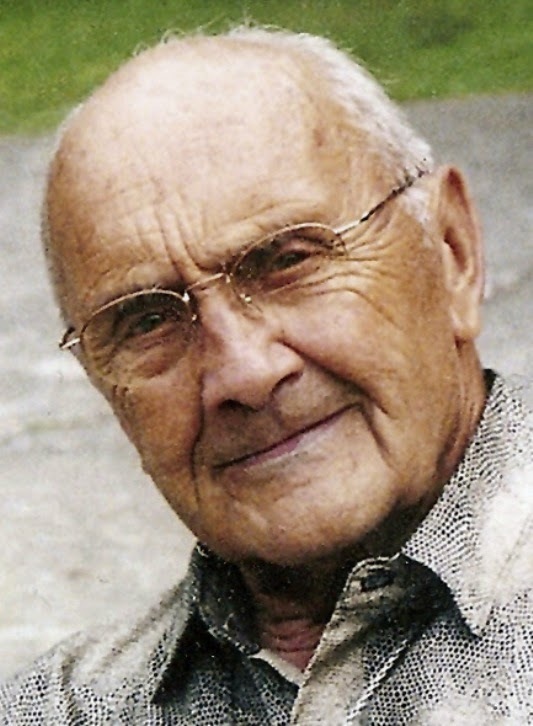 For two years, in 1917 and 1918, he was the visiting priest who gave He­len Holy Communion at home in the times when she was incapable of going to the Church herself because of her great sufferings. Thus, he had a privileged opportunity to observe Helen during these times. He testified that on numerous occasions he had seen the wounds on her hands and feet and how they were bleeding, however out or purity and chastity he did not see the wound in her right side though. Interestingly, when Helen attended the 7pm Mass herself, her wounds would not open. 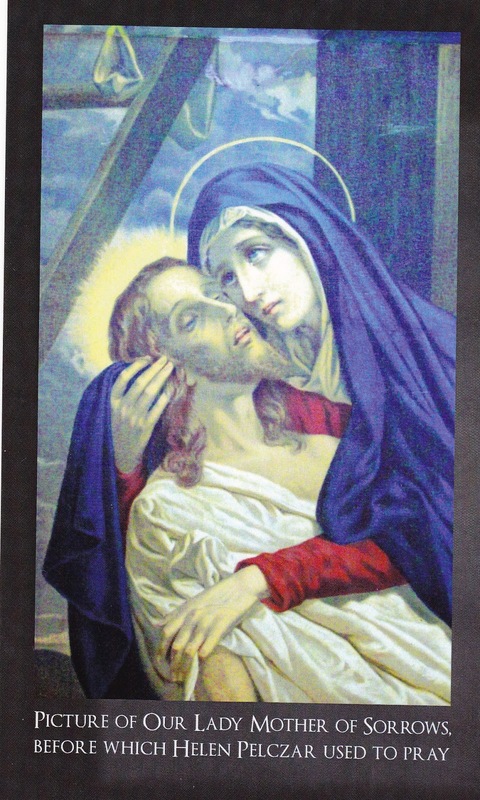 Thus during all of Lent 1918, Helen felt and participated in the agony of the Passion of the Christ in a specific way. 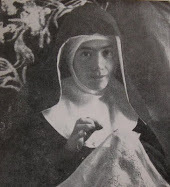 Along with being drawn into ecstasy and receiving the stigmata every Friday, she would also become still and be drawn into ecstasy each day about half past five, no matter what she was doing at that specific time, and she became insensible to anything that was going on around her. This unusual state would last for about an hour. 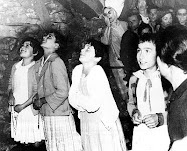 It was usually at seven in the evening when the Mass in the local church of St. John Cantius in Cleveland started, and Helen would often go with her cousin Francis to this Mass. Yet, there were many times however when she was suffering too much to go to Mass, and on these occasions even though Helen was lying still in her bed, she knew exactly which part of the Mass was being conducted, at the precise moment when things were occurring. Up to the very moment of Conse­cration, her hands, feet and right side would become deeply red. When the priest raised the Host, her wounds opened immediately, as if someone had pierced them with a sharp object, and started bleeding. They were bleeding until the Holy Communion was being distributed. When the priest took the Communion himself, the bleeding would suddenly stop, and the wounds would close and heal, and after about fifteen minutest only slight marks of them were left, as if they were old wounds that were mostly healed. 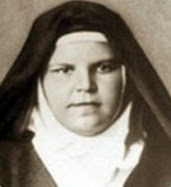 The Blessed Mother appeared to Helen more than once. One time she appeared with two angels. 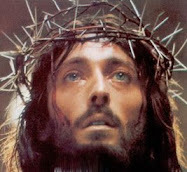 One angel held on a pillow a Golden Crown richly encrusted with diamonds, and the other a Crown of Thorns. The Blessed Mother spoke to Helen asking her to choose one of the Crowns. Helen, feeling unworthy of holding a Golden Crown, she chose the Crown of Thorns. On Thursday, October 17th, 1918, Helen was once again suffering intensely. The flesh of her hands, feet and right side started turning blue and red again, as which normally occurred in preparation for the next bleeding of her stigmata. On the following day, a Friday, around three in the afternoon, a wound on her forehead opened unexpectedly, right above her left eye. It was almost two inches long, and it bled copiously. Her cousin, Francis Wiernasz, a witness of these events, was under the impression that there were two holes inside the wound. At the same time Helen's left eye became heavily swollen, and the skin around it turned bluish and was quite painful. It seemed to her that an invisible crown had been placed on her head, although no other marks on her head could be seen other than the gash above her left eye. Yet, Francis noticed that blood appeared on her forehead, neck and around her ears. Her aunt, Julie Wiernasz, was deeply moved by this new manifestation, and she could hardly bear the very sight of the painful wound. Crying, she left the room and went to the kitchen. Then before Helen's eyes a painful vision of the Passion of Jesus appeared, which began with Jesus in prayer in the garden of Gethsemane, until the agony on Calvary. 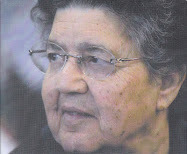 Helen moaned tearfully while watching some of the scenes, such as the scourg­ing of Jesus, . Between June 13th and 18th, 1918 Helen experienced another period of suffering. On Friday, June 14th, between three and five in the afternoon, He­len had a vision of Jesus unspeakably battered, tired and completely devastated. His Heart was open and wounded, as if pierced by a dagger. Blood gushed profusely to the ground. On the left side of His Heart a shining Host could be seen, from which three large rays radiated. The Host and the Heart formed a whole. The Host suddenly started to move, and it seemed as if it wanted to break away from the Heart. It inflicted the Heart of Jesus with pain, and divided it into two halves, the Host seemingly ripping from the left side of God's Heart. Through this vision, Helen became ever more aware that Jesus wanted her to suffer to make reparation for those who offend Him in the Holy Eucharist. This terrible vision of the wounded Heart of Jesus had never left Helen. 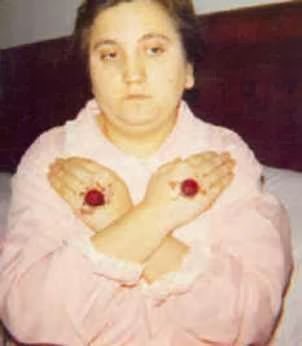 Because God gave her the stigmata in her right side, signifying the pierced Heart of Jesus, she was to feel suffering and pain similar to the Heart of the Savior. And because the Heart of Jesus always desires the conversion and salvation of sinners, Helen too was always willing and ready to suffer in union with Him in reparation, and for the conversion of souls. For Jesus revealed to her many times how she could help relieve the pain of His Sacred Heart by helping to save souls from hell through her willing sacrifices, sufferings and prayers. "Pray for sinners. Ask me to increase their weak faith. 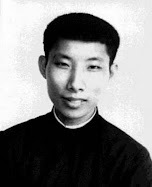 Offer to Me your suffering for them, to make them convert, repent for their sins, make a sincere confession and thus escape from eternal damnation"
"It was Thursday afternoon. Helen, as usual, began to experience mystical sufferings shortly before evening, and she continued to suffer through the night. On Friday, the suffering became more painful in the anticipation for the stigmata. Around noon on Friday her wounds completely opened and started bleeding until four or the five in the afternoon. Then the blood ceased to flow out of them, by Saturday morning both the wounds and their blue color disappeared, as usual. "Going back to Thursday, Helena fell ill and had pains on both sides and in her chest. Helena had much difficulty withstanding the pain, and fearing that she got infected with the Spanish flu, an unusually deadly influenza pandemic taking its toll at that time, she asked for a doctor's visit. I called Dr. Krebs late Thursday afternoon. We waited for him until midnight, but the doctor did not come. "On Friday morning it became apparent that Helen was getting the stig­mata. Her hands, feet and side were already turning blue. Seeing this, I thought to myself that at least this time Dr. Krebs will see her bloody wounds (this particular Doctor had never seen her stigmata). But at 9:30 in the morning the stigmatic blue color suddenly disappeared. Then, at 10:00 o'clock the doctor arrived and examining Helena he asked her what hurt. But Helena did not answer because first of all she didn't understand English, and secondly, she couldn't speak during her stigmatic illness. I myself, therefore, told him about the pains in her sides and chest. The doctor examined her, he said she had a pleurisy and that she was quite cold. Therefore he wrote a prescription for a medication and or­dered to apply a patch to her sides. I paid him and he left. But as soon as the doctor left, the stigmata came right back"
On another occasion, one Friday morning Father Duda brought Doc­tor Kocinski to examine the stigmatic. He wanted the physician to be a witness of mystical wounds and extraordinary suffering of Helena. It was a time when the usual stigmata were open and bleeding and she was in ecstasy. But that day, Helena got out of bed just before they came and began her household work. The priest was surprised, but apparently God did not want a doctor to witness Helena's suffering. When the guests left the house, she lied down and her stigmata began to bleed again. One day, Helena's guardian Angel told her that her mystical sufferings could be removed if she would not be willing to suffer together with Jesus, but as long as she willingly accepts to suffer out of love for Jesus and sinners, then there will be no earthly doctor who could ever help her. Since then Helen sometimes begged with tears in her eyes for her family not to call for a doctor, claiming that this could not help her anyway. Over the years Helen was treated by eight doctors from Cleveland and among them there were three Poles. They tried to help her the best they could, however the root cause of Helen's "illness" remained a mystery to all of them. On Friday, March 7, 1919, Helen expressed through gestures the way she suffered. Her relatives recognized that she was speaking of the crucifixion. Some invisible force slowly stretched out her arms and legs so badly that all the bones crackled in her body, severely stretching her muscles and tendons to their limits. With her arms and legs stretched, her chest lifted so much that all the ribs were clearly visible. It seemed so that the skin of her body would be ripped in any moment now and all her bones would pop out. This painful mystical experience of the crucifixion which she was experiencing was almost unbearable for Helena. For a moment she forgot that it was her destiny was to suffer in these ways! The pain was so powerful that it did not allow her to contemplate Our Sav­ior's Passion and His Mother's anguish. Helen was suffering so terribly that she thought she was going to die, so she asked her relatives to call a doctor, thinking that he may relieve her from her sufferings. Right after this request she lost consciousness and had the following noteworthy vision, about which she later told her cousin Francis. "Why are you so discouraged about the sufferings that Jesus grants upon you? You should know that no one in the world can help you with the pain. Do you still want to suffer willingly and lovingly, or do you want the Lord to take this grace away from you?" 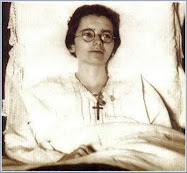 Helen stated: "I was very frightened that the Lord will take the suffering from me and with great sorrow in my heart I promised the Angel that I will continue to suffer willingly and lovingly everything that the Lord Jesus shall send upon me. At the same moment I saw Jesus in His Crown of Thorns, terribly scourged and wounded all over, so that the pieces of the Most Holy Body were hanging off his bones. The Angel was standing behind Jesus and he held the fainting Jesus in his arms. Looking at Jesus so badly wounded, I thought that my heart will burst from grief and I fainted out of sorrow." When Helena regained consciousness, she continued to participate in the sufferings of the Crucifixion. She was no longer looking for relief, and while suffering she repeated with resignation again and again the following act: "Jesus, I will endure every­thing ... Jesus!... I will endure everything!" On this particular occasion, Helena suffered the pains of the Passion and Crucifixion for twenty-four hours. After a day of suffering had ended, exhausted she fell into a deep ecstasy in which she had another vision. "You see how, my daughter, when you suffer with love, you comfort me and heal the wounds that sinners give to me." God gave Helena the visible presence of her guardian Angel because he was to be her teacher and spiritual director in the mission that she was called to. This messenger of God often admonished her and chastised her for even minor offenses and sluggishness in suffering. Towards the end of her life Helena told her relatives that he was with her almost constantly. It happened once that because of her suffering she could not say the evening prayer on her kneels. Hastily, she prayed sitting, then went to bed. After less than two hours, her guardian Angel appeared, saying that her prayer was weak-hearted. Then he placed what appeared to be a wide band on her, which he slowly squeezed. Soon Helen could not bear the pain. With repentance in the heart she promised that henceforth she would always pray devoutly and attentively. The Angel then freed her from the band and then he disappeared. On another occasion Helen was again exhausted from pain, which lasted all night until the morning. Since it was a weekday, Helen de­cided not to go for a morning Eucharist. Her guardian Angel came to her again. This time he was holding a big stick. He came up with her and hit her three times in the back, saying: "Get up you lazybones and go to the church." The efforts and sacrifices which do not normally apply to ordinary people like majority of us is absolutely required of those like Helena whom God calls to important missions. Helena felt an intense pain in her back throughout the whole week, right in the place where the Angel had beaten her. Her guardian Angel continuously insisted that Helen not commit any sin, because she herself was called to make penance for the pain given to Jesus by other people with their sins. Thus her Angel was very strict with her in such matters. And her Angel sometimes used remarkable lessons to teach her to avoid even the smallest of sins. Once Helen had a marvelous vision. Her Angel led her to a beautiful meadow and disappeared. After a while, Helen heard the cry: "Helen! Save me"
"You see, child, it is in the same way that I have to toil with you to protect you from evils." "Helen, why are you becoming discouraged in suffering today?" "Do not lie, do not lie! He then showed her all of the various instruments which Jesus was beset with during his scourging and crucifixion. Helen deeply experienced this vision and it made an incredible impression upon her. One day, her Angel suddenly brought Helen in front of a poor hut, which stood near the forest, and ordered her to go inside, saying, "Go inside quickly”, while he remained outside in the yard. Inside the hut she saw an old bed standing behind the stove, and laying upon it she found a dying, abandoned girl, all covered with wounds. 'Oh, I was waiting for you!" the girl exclaimed, and at that moment she died. Helen immediately began to pray and offer her sufferings for the intentions of the girl. A few minutes later, her Angel came inside the hut and stood next to Helen. He pointed to the dead, and said: ''A patient soul goes to Jesus." As we can see Helen's guardian Angel was a wise teacher, a true guardian and a constant companion. He protected her from committing sins and encouraged her to perform good works, penance and voluntary mortification. He supported her in order that she might worthily fulfill her mission as a victim soul and humbly accept the suffering sent to her by God. In her visions, her Angel normally appeared to her with wings, however on the occasions when he guided her in Purgatory, he appeared to her as a young man or boy. Helen suffered for sins, and not only for the sins of the people still living, but also for the sins of the dead. She suffered in her body in reparation for the souls in purgatory who no longer possessed a body, to help to shortening their time of purification in purgatory. And interesting were Helen’s visits to purgatory accompanied by her guardian Angel. "You can hardly stand it in here. See, the souls who do not have help from anybody reside here"
While walking Helena had carefully examined many of hem. She saw people of different walks of life, and among them there was also priests, monks and nuns. Helen was touched with this painful sight, which gave her a renewed desire to sacrifice, suffer and pray to help to bring relief for these souls as best that she could. In 1922, Helen’s cousin Francis Wiernasz was with Helen and they were about to leave for Mass when he noticed that Helen was having a vision. Helen was having another vision. He asked her what had happened. Helen did not hear his question at first, she was occupied with rubbing her clenched hand. When Francis asked his question again, she came to her senses and said: "Look what I have on my hand!" Then he saw red marks that could had been left by a strong handshake. He asked, in amazement, what had happened. Helen answered that she would tell him about everything after they return from church. 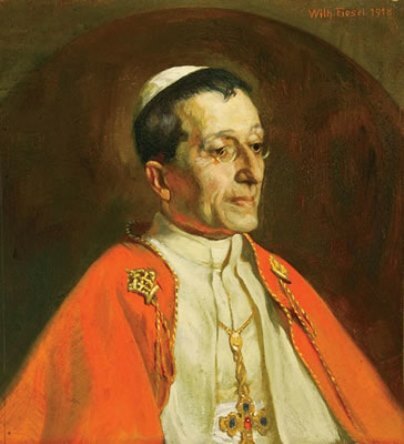 After the Mass, Helen recounted her vision to Francis, which concerned the recently deceased Pope Benedict XV, who had passed the very same year (1922). On this occasion, her Angel appeared to her and said: "Come with me." Helen was not ready for a journey at that time and she was lingering, saying that she wasn't dressed decently. The heavenly messenger grasped her hand heavily and took her with him. They passed seas, mountains and woods, villages and towns, until they came to a cemetery at last. From the cemetery chapel came out a priest clothed in pontifical gowns and he stood right before Helen; she immediately recognized the Holy Father, Pope Benedict XV. Helen was so embarrassed with her inappropriate kitchen apron and dress that she only kneeled and lowered her head. Pope Benedict put his hand on her chin and said to her: "Stand up dear, you don't have to be embarrassed. Your clothes are of no importance here"
As he said this he held out his hand with the papal ring in her direction. Helen, while kissing his ring, noticed that his hands were burned and bruised. Helen was deeply touched by this sight and she could not hide her great astonishment. It was a Pope, after all! She wondered to herself: "Is the Pope also suffering in the Purgatory? Does he need prayers as well?" While she was pondering this the Pope said: "Pray with me and for me, because I have to pray for the faithful in my chapel, as I hadn't prayed enough for the faithful during my life." Benedict XV looked painfully at Helen, then he turned around and walked into the chapel. He knelt at an iron kneeler, rested his elbows on it, and prayed. Those close to her repeatedly recall also how Helen often was shown the state of persons of her Parish who had just died, that is whether they were in heaven, purgatory or damned. In 1918 the Blessed Mother appeared to Helen. She showed her the events that were about to happen in Poland in the year 1920. Specifically, Helen saw the Battle of Warsaw (August 13-25, 1920). This was a war in which Polish patriots defended the boundaries of their country against the Bolsheviks. Helen saw a figure of Our Lady, Queen of Poland, hovering over an army of young boys led by a young priest, identified as Chaplain Fr. 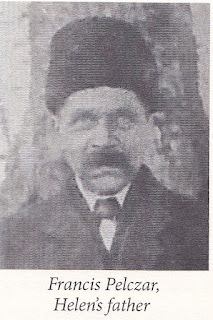 Ignancy Skorupka. With a cross in his hands, he led a charge on the front lines and ultimately was killed on the field. When the invaders saw this apparition, they fell into chaos and began to withdraw their troops in great confusion. This became known as the "Miracle of Vistula". Polish independence was preserved and the Bolshevik Revolution was stopped at the borders of Poland. Thus Helena was given a vision of this extraordinary event 2 years before it actually occurred. Satan took his revenge on Helen fiercely for the many souls that she took from him through her sacrifices and sufferings. On one occasion she was suffering for the intention of repentance of a certain sinner. During her suffering she was obliged to remain in bed. At one point she got up to go to the bathroom, which was situated on the first floor. Upon going down the stairs suddenly Satan pushed her down the stairs with great force and she tumbled brutally, so that afterwards her whole body was sore and covered with bruises. Her aunt and cousin were the witnesses of this particular incident. Helen did not speak much of such matters, but as she stood up they heard her say: "You may be pleased and think that I will quit or complain, but I will endure everything!" For two hours one Saturday morning while she suffering and lying in bed, Satan continuously knocked on the door and windows of her room, terrifying her. On another occasion, he stood up before Helen in a form of a black ape. He took her hand, pulled it and tried to molest her. She fought back against him and he disappeared only after she hit him with a rosary. In order to remember these terrible events more clearly, Helen wrote an illustrated brochure titled "Hell". She herself read it often, because she wanted to do her best in preserving the holiness of her soul and salvation of others, always having the terror of Hell always in front of her eyes. Helen was very reserved and normally did not go on social visits, but on one occasion the local Franciscan Sisters invited her one Sunday. She deeply respected consecrated religious and clergy and for that reason she could not turn down the invitation. 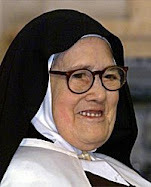 During the talk Mother Superior, in the presence of other nuns, asked her directly: "Helen, when will you die?" Helen did not answer her question and pretended not to have heard it at all. 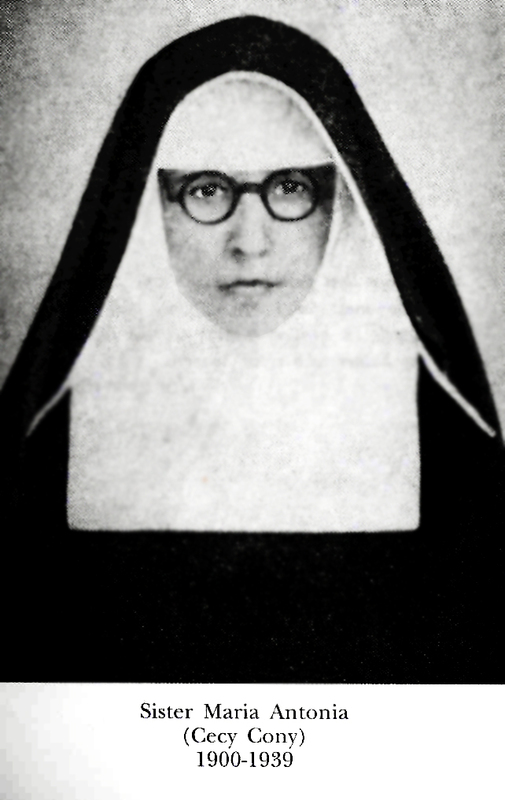 Mother Superior repeated her question with emphasis. But again she did not reply, acting as if she did not hear the question. The nun did not concede and asked again, this time more in the form of a demand. To this Helen replied "In two years". 'Oh, how would I like to reap as well!' because as far back as she was living in Poland she learned how to harvest. She heard Jesus talking with His angels and she understood suddenly that they were talking about her. She then understood that she will die soon, and the fertile ears of grain, cut by the angels, symbolize her merits of her life, short yet full of suffering. Helen cried, but rather out of happiness than sadness, for she knew she would soon unite with her Heavenly Bridegroom. 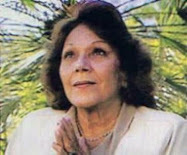 According to this vision, Helen foretold that she would die after three months from that date." so much that the slightest move caused her horri­ble pain, so that no one could even touch her. In spite of good appetite she could not swallow food, and she could not drink fluids as well. All of that made her suffer even more than usual. However, Helena did not complain nor showed impatience. She fervently wished to be the Savior's worthy Bride and if that suffering should help her in achieving this holiness, then she was happy to have the possibility to make herself more similar to the Divine Bride­groom. Feeling that death is near, Helena asked the nuns from her parish to prepare tertiary habit, because she wanted to be buried as a conventual daughter of the St. Francis as a Third Order Franciscan. The nuns agreed to do so and sewed such a habit in preparation for her last day. In spite of horrible suffering, Helen's joy was great. 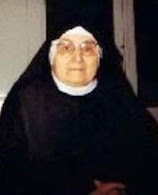 When she received the habit, she tried it on and put the conventual veil on her head, as if it was the most precious treasure in the whole world. 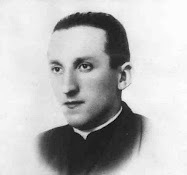 On Saturday, April 3, 1926, her relatives called for a priest, Father Kazimierski, so that he could give her the Last Sacraments. Helen received Viaticum (Holy Eucharist) and the Last Rites with much devotion. Soon after that she got a very high fever, yet she did not lose consciousness though. Her tongue got thick and sore because of the fever. Yet, in spite of the fact that she could not even drink water she did not complain at all. Her burnt offering was being accomplished. And so came Tuesday, April 26, 1926--the Feast of Our Lady of Good Counsel, as it was instituted by the Pope Leo XIII in 1908. It was also the feast of St. Zita, the patron saint of maids and domestic servants. She was for sure also He­lena's Holy Patron, because the girl spent her whole life in service. "On Tuesday morning we noticed that Helen was already very weak, so we didn't want do disturb her. But when the time for a Mass came, she ordered us to go to the church. She also assured us that she would not die during the time we were at holy Mass. When we came back from the Mass, we understood that He­len was fading away. We called our neighbors, lit up a Paschal candle and placed it near her. "She kissed wounds of crucified Jesus twice, then she prayed quietly. We noticed that she was silently praying the 'Hail Mary'. Sitting upright on the bed, she sighed twice, put her head on a board and passed from this life while completely conscious. It was a quarter after nine in the morning ... "
"Several hours after her death, on her right side in the place where she usually got the heart wound, there was not heart wound anymore however something distended two or three of her ribs so much that her skin almost burst. Her ribs remained like that, yet there was no wound anymore. We do not know what caused her ribs to be distended, as no one could explain it. Nothing like that happened when she was alive." 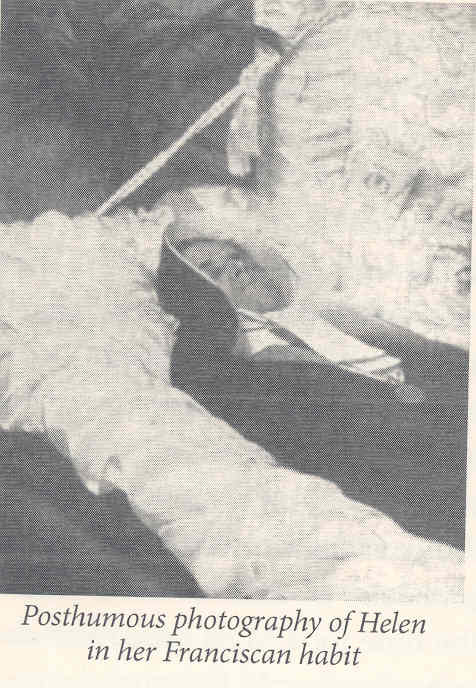 We know that from the life of St Gemma Galgani for example that this distention of Helena's ribs was most likely caused by the enlarging of her heart which could not contain the presence of God without expanding--a mystical phenomenon found in a number of mystics which has been documented over the centuries. 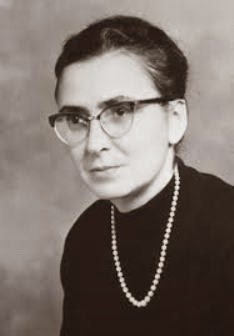 Helen died on Marian feast and her funeral took place on May 1st, the first Saturday of the month, a day traditionally dedicated to the Blessed Virgin Mary. On her way to eternity she was assisted by three priests: Rev. Kocinski was the main celebrant, along with two vicars. After the Mass and the Rite of Interment the body of Helen Pelczar was buried at Calvary Cemetery in Cleveland in lot 603, section 2l, where it remains to this day. In 1936, that is about 10 years after her holy death, there were numerous reports of "miraculous music" that was said to emanate from her grave. 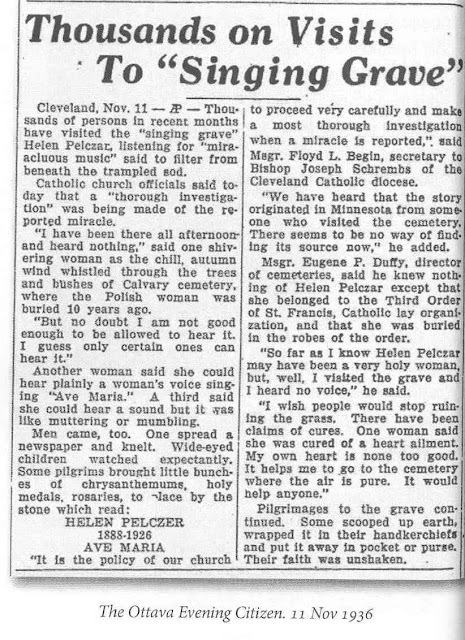 The introduction in Father Bernard Jarzembowski's book specifically mentions reports of persons hearing the "Ave Maria". According to news reports at that time, it is said that thousands of people were visiting her grave hoping to experience this phenomenon. The news article above relates much of the story. -Helen Pelczar, pray for us! We do not appreciate enough the generous hearts of people dear to my Lord who allowed them to participate in His passion and to share in its torments. Because of them people enter heaven, receive healings and find themselves freed of the worst sins. 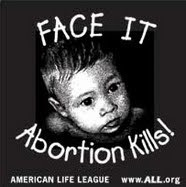 We ought to remember them when we turn our hearts to Jesus so that they can remain faithful in their sufferings. We should not forget those whom God has given us to help us by their prayers, their presence and their good example. Pray for the souls in Purgatory and pray for the conversion of sinners. By doing so you are much appreciated by those souls you thus console and they will obtain things you need, especially graces. Do not despair for the world, but joyfully endure all God asks of you so that those living in the world might have peace as God wishes to give it. Pray for sinners so that they may turn their lives around and give good example so help convert the world. Thank you Brother Michael for sharing your thoughts and reflections. I sincerely appreciate it. Her great love for suffering and her zeal for the salvation of souls are wonderful! This mystic should be more known and maybe become a saint.. perhaps she has been forgotten and barely known until these times for a reason? God bless you Glenn and thank you for this post! Great article Glenn! Do you know where we can get the book you mentioned at the top of the article? I looked for it online and couldn't find it on eBay, Amazon, Abebooks, etc. I found one website with it but even though the description of the book was in English, other parts of the website were written in a different language so I don't know if the book is in English. The English version of this book is currently being offered on EBAY for $12 with free shipping.. I myself purchased the book from this seller back a few months ago, and I am very please with the book. I contacted the seller this evening and she said she currently has 12 copies available (note that I personally have no association with the seller). 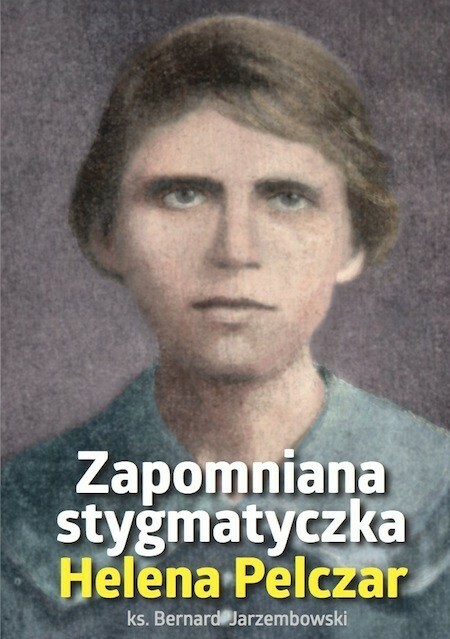 She has told me that she makes no profit of the sale of the book, and simply offers the book to help to spread devotion to Helen Pelczar. Thanks Glenn! I ordered it.